Over the past few months, Amy has presented findings of the “Linking research to its uses” project, based on field work carried out in 2012 to investigate how research is used in programmatic decision making in a Public Health Unit in Ontario. From October 10-13, the venue was the casrai reconnect12 1st Annual International Conference: Occupy Impact in Montreal, which brought together stakeholders in research and innovation to share ideas and solutions for measuring the impacts of a highly diverse research community (http://reconnect.casrai.org). This month, Amy shared results with the Public Health Unit itself, the site of the ethnographic study. This project was sponsored by the Mitacs Accelerate program and CASRAI. Amy Lemay and Andrew Kretz presented papers at the 2012 Association for Study of Higher Education (ASHE) Annual Conference in Las Vegas, Nevada (USA). In one of the papers, The Uptake of University Research in Public Policy: The View of “Users” in a Public Health Unit, authors Amy Lemay and Creso Sá report on an ethnographic study of how research is used in programmatic decision making. While the literature usually highlights the lack of knowledge and capacity of users to access and use research, this study identifies the strategies of “active users” in the Public Health context to utilize research. The study was part of the project Linking research to its uses: Making sense of how decisions are informed by research, sponsored by the Mitacs Accelerate program and CASRAI. In the other paper, Canada-U.S. Ties and University Technology Transfer, authors Creso Sá, Andrew Kretz and Kristjan Sigurdson reveal how Canadian technological nationalism was an important factors shaping how technology transfer was practiced, organized, and legitimated between the early 20th century through the 1970s at the University of Toronto. The study is part of the project The Institutionalization of Technology Transfer in Canada. 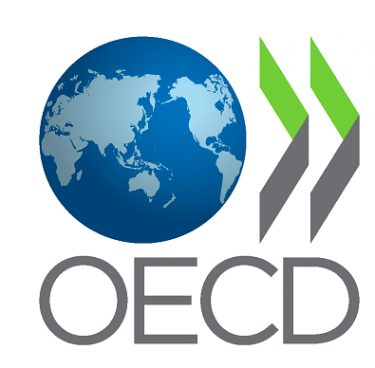 The OECD’s Economic Survey of Canada was released in Ottawa on Wednesday, June 13th. The following day, the Higher Education Group at OISE hosted the two contributing authors in the event “Strengthening Canada Through Post-Secondary Education and Innovation: A Symposium on the OECD’s Economic Survey of Canada”. Creso Sá was a discussant of the chapter on innovation at the symposium. Creso Sá presented at an international conference sponsored by the Faculty of Education at York University in Toronto, Canada on March 15-17, 2012. The conference, Policy Formation in Post-Secondary Education: Issues and Prospects in Turbulent Times, hosted leading thinkers from around the world to discuss university policy formation in the context of recent global economic change. Creso presented the paper Expertise and Evidence in Policy Making for University Research, based on a study by Creso, Merli Tamtik, and Andrew Kretz that explored the ways research funding agencies use evidence and expertise to develop policies and programs.